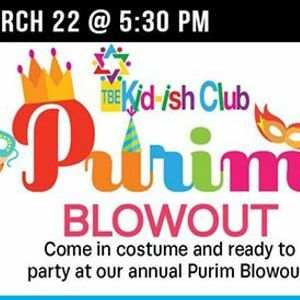 Come in costume and ready to party at our annual Purim Blowout! 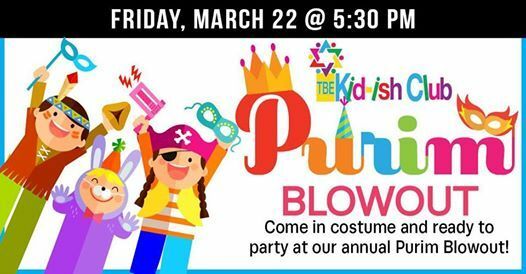 We’ll start with Purim songs and continue with dinner, bounce houses, a balloon artist, and more! For more information or to RSVP, contact Jennifer Ritchie at anJpdGNoaWUgfCB0YmVvbmxpbmUgISBvcmc= or 248-865-0602.